One of the most anticipated films premiering at Toronto’s Inside Out LGBT Film Festival is the Canadian documentary “Two Soft Things, Two Hard Things” by filmmakers Mark Kenneth Woods and Michael Yerxa. 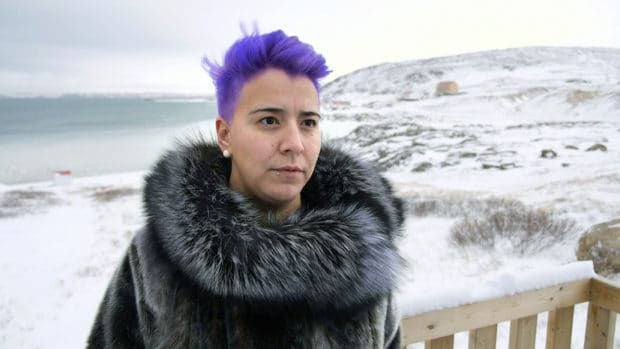 Equal parts history lesson and exploration of the LGBT Inuit experience, the documentary explores how colonization and religion have removed traditional Inuit beliefs around sexuality and family structure. Varying perspectives of adults and youth are shared as they recount the compelling and often surprising experiences in the Canadian Arctic after decades of re-education and relocation. I had a chance to sit down with Woods and Yerxa in Toronto’s historic Gay Village to discuss what inspired this film and why they chose to share this widely unspoken, yet necessary history. Whose idea was it to make this film and how did you get the ball rolling? MY: Mark and I had both read an Xtra article about a fascinating Pride party that was happening in Iqaluit in the fall of 2014. It was so interesting to hear about this sort of celebration in a place where you would really not expect it. In the summer, of 2015, we reached out to the organizers of Iqaluit Pride to see if another event or party was happening. They had plans for a fall event and we thought it would be a prime opportunity to both document the event but also investigate LGBT identities in Nunavut and Inuit culture. What was your relationship to Inuit culture and Nunavut prior to making this documentary? MKW: I was fascinated and angry that for some reason I didn’t learn about this history 30 years ago. The more we dug, the more fascinated we became. We were very hesitant in a lot of ways, because it’s not our story, it’s not our people, and it’s not our culture. We went in there thinking, ok, we’re foreigners, we need to build relationships, talk to people and let them speak for themselves. So we just asked questions. We didn’t want to manipulate any situation; we wanted to create a film that was from the heart of the people that live there. MY: I was truly ignorant about virtually all things involving the territory of Nunavut and Inuit culture before working on this project. The research we did and the things we learned through doing this film were incredibly enlightening. There is a lack of education regarding Northern politics and history in Canadian classrooms and that needs to change. I hope this film is a step in the right direction in beginning many conversations that need to happen. Did you have any preconceived notions about what you would face based on the knowledge you had? MKW: I think our biggest fear is that people wouldn’t want to talk to us because we’re not from Nunavut. MY: I have to confess I was a bit embarrassed about how little I knew about the North and Nunavut before filming this documentary. 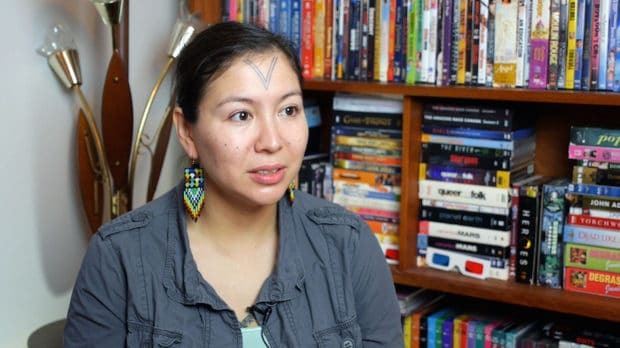 I do believe that many Canadians are completely in the dark about this territory and many things regarding Inuit culture unless they have a personal connection to someone who lives there or has lived there. It did make me a little anxious how little I knew, but Nunavumiat were so warm and quick to open up and talk about their home territory and their unique culture. Had you visited Nunavut to explore the culture prior to the filming of the documentary? MKW. At $2,500 return airfare, no we did not (laughs). We went there for three days, and filmed everything. It was hectic and crazy, though we did as much research and planning that we could ahead of time. But as with every project, people cancel, then all of a sudden you’re interviewing people you just met. It’s all very circumstantial. How do you approach going into another culture you’re not part of and ask people to share their personal experiences with you? How as a filmmaker do you build those relationships? MKW: It’s very complicated because I wanted to hear opinions, though I have no control how they’re answered. Thankfully we got everything we wanted and were able to give varying viewpoints. It’s about letting people speak their mind, and include as much information as possible. What was your biggest learning experience about the LGBT Inuit community? MKW. I don’t think we expected to get the story we got from the youth. We expected doom and gloom stories from them, though they were quite hopeful and positive. The Inuit youth have moved further in the direction of acceptance than my high school did in a major city. MY: I think for me, I didn’t know how complex throwing a simple Pride event could be for the community of Iqaluit. The concept of Pride in itself is very complicated for Inuit, as it’s not necessarily a characteristic to be celebrated. Mark and I thought we’d go and film a documentary about a very unique Pride event, however it quickly turned into a film about colonization, Christianity, cultural shame, survival and reclaiming. What do you hope viewers will take away from this documentary? MKW. We want to start the conversation, that’s all we can do. We don’t speak Inuktitut, we can’t talk to elders in their own language, but hopefully this will snowball into that kind of research. They can take this film as a starting point and go from there. Someone needs to speak to elders about sexuality before colonization. Very little of that has happened, so hopefully this film will motivate people to do that kind of research, because we can’t. MY: There is a lot of healing that needs to occur in this part of the world. There is a significant amount of cultural shame, which directly affects sexual and gender identity. That being said, there are many individuals, Inuit and non, who are working very hard to reclaim what was lost and what was taken from them. We hope this film continues a conversation that needs to be had.